2017 Chrysler Pacifica – Summer Edition is the blog of the summer for all of you out there who may or may not be in the market for a mini van. Chrysler Pacifica is one vehicle that falls into the stereotypical class of “Soccer Mom”. 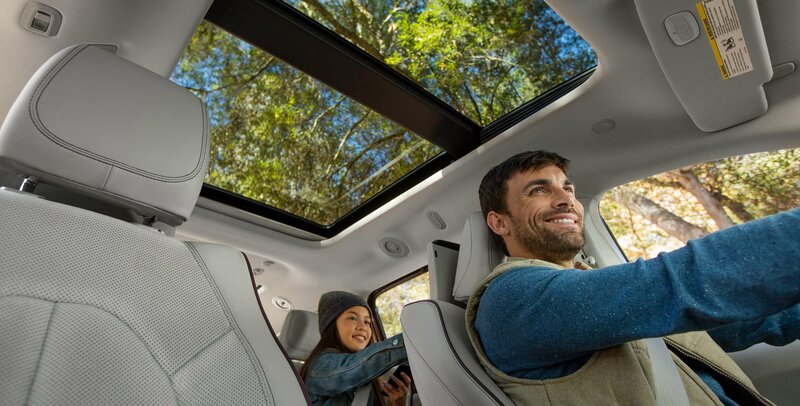 However, this summer let’s reinvent the wheel as this soccer mom vehicle packs some pretty amazing features that you may not have known about which could leave you rethinking your next vehicle option. This is just a brief overview of some of the Chrysler Pacifica Hybrid Features. For more information, please contact one of our product specialists here at Sorg Dodge and they would be happy to assist you with any questions. What once was deemed as the “Soccer Mom” vehicle has now become a vehicle of luxury that certainly should not go unnoticed. As a man in his early thirties, single and still living with roommates, I often find myself contemplating buying a Chrysler Pacifica for all the amenities that the Pacifica has to offer. Not to mention all the space that Chrysler Pacifica has to offer, if I could find a way to install a little hot plate, a small wash bay and an external power source I would have my own portable living quarters. Sounds pretty cool to me! Moving on, the exterior of the 2017 Chrysler Pacifica has a very elegant look to it. Combine that with a Tri-Pane Panoramic Sunroof and Hands Free Sliding Door and Liftgate, well, you got yourself a relaxing environment in a vehicle of luxury. Once inside the Chrysler Pacifica, there seems to be endless options available. Options such as, DVD screens in the back of the front seats headrest. 360 degree camera views. 8.5 Uconnect touch screen stereo system. Bluetooth, navigation and hands free capabilities. 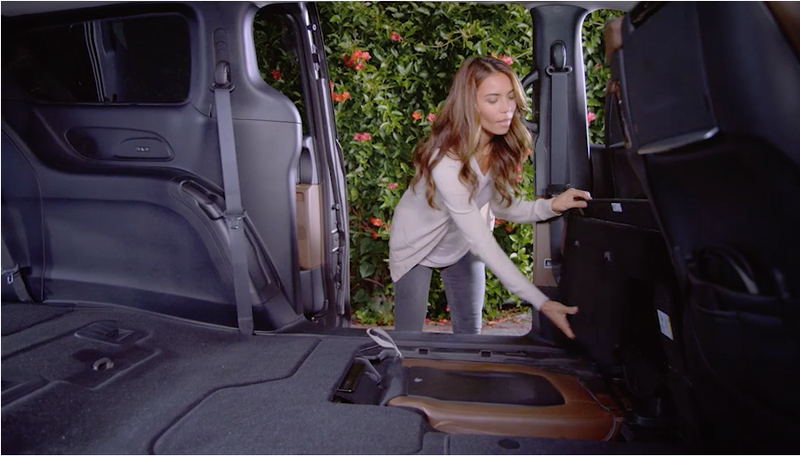 Chrysler’s patented Stow ‘n Go & Stow ‘n Vac systems that will leave your spacious vehicle clean and tidy. All in all, Chrysler has really outdone themselves with the 2017 Chrysler Pacifica. Perhaps, the most influential aspect to the Chrysler Pacifica is its ability to use the Stow ‘n Go system to haul larger items. Having been born and raised on a lake, it would be nice to have a vehicle that can allow for one to haul a stand up paddle board, boating equipment, tubes and several other items. Maybe you’re in construction and need to make a quick run to the hardware store for some lengthier 2×4 planks. No problem. 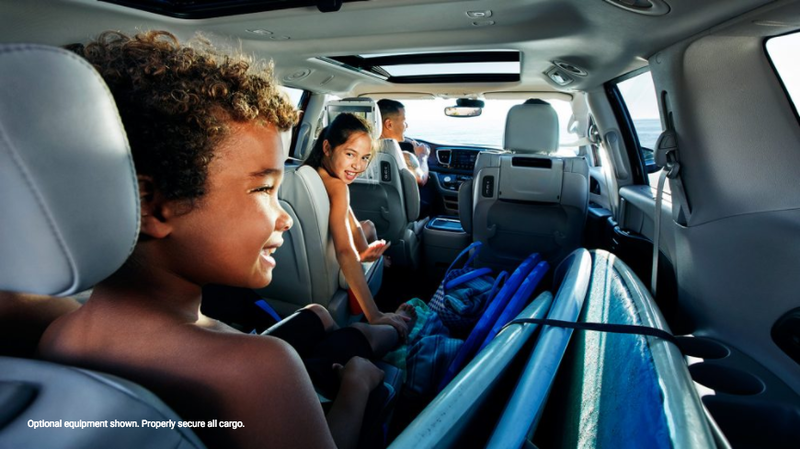 Grab the keys to the Chrysler Pacifica, fold the middle and back seats down with ease. Whatever your intentions are with your new Chrysler Pacifica, I think it’s safe to say that we can all agree this vehicle is certainly more than just a Soccer Mom vehicle. It’s a jack of trades. All-in-all, the 2017 Chrysler Pacifica has really stepped up the car industry game with their multifunctional high tech vehicle. Fun, Family-Oriented, Luxurious car that is more than just a Soccer Mom vehicle. It’s the ultimate minivan experience. We encourage all of you to come by and test drive one if you haven’t done so yet. Should you need any assistance or have any questions, we have several product specialist ready to take your questions. In the mean time, check out all of our new and used inventory here at Sorg Dodge when you visit our website.